Statoil and Statkraft have signed a letter of intent that Statoil takes over as operator of the Sheringham Shoal Offshore Wind Farm from January 2017. Statoil will also through this deal increase its share in the Dogger Bank projects. Sheringham Shoal is one of the world’s 10 largest producing offshore wind farms providing renewable energy to up to 220,000 UK homes. Located off the coast of Norfolk, it has been in operation since 2012 and has a capacity of 317 MW. “Taking over the operatorship for Sheringham Shoal represents a milestone for Statoil, as our first operatorship during commercial operations. As operator of both the Sheringham Shoal and Dudgeon offshore wind farms, located in the same area, we can further improve efficiency and increase competitiveness across the projects,” says Irene Rummelhoff, Statoil’s executive vice president for New Energy Solutions. 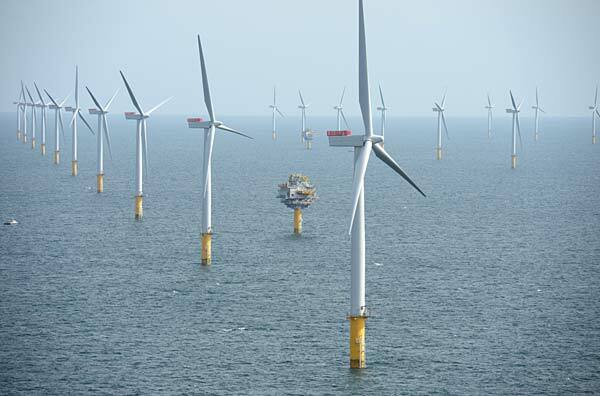 Statoil and Statkraft each hold a 40% share in Sheringham Shoal, with 20% held by the UK Green Investment Bank. Through the announced agreement, Statoil is also increasing its share in the Dogger Bank projects, with the desire of bringing Statoil’s total ownership from 25% up to a potential of 50% through an acquisition of Statkraft’s share in Dogger Bank. The final shareholding in Dogger Bank, and the transfer of operatorship for Sheringham Shoal, is pending partner and government approvals. Dogger Bank is the world’s largest offshore wind development, having achieved consent for an agreed target installed capacity of 4,800 MW. In total, the Dogger Bank projects have the potential to provide renewable energy to up to 5 million UK homes. “Dogger Bank represents a unique opportunity for the UK to develop secure, sustainable and cost-competitive energy from its world-class wind resource. By increasing our share, we strengthen Statoil’s long-term portfolio materiality and gain additional optionality. This is in line with our strategy to gradually complement Statoil’s oil and gas portfolio with profitable renewable energy and other low-carbon solutions,” says Rummelhoff. The announcement coincides with the opening of Statoil’s onshore base for the Dudgeon offshore wind farm, taking place in Great Yarmouth during the Maritime Festival. In total, Sheringham Shoal and Dudgeon are creating 85 jobs in the Norfolk area. The effective date for the transfer of operatorship is 1 January 2017. Closing is subject to customary conditions, including partners’ and government approval.